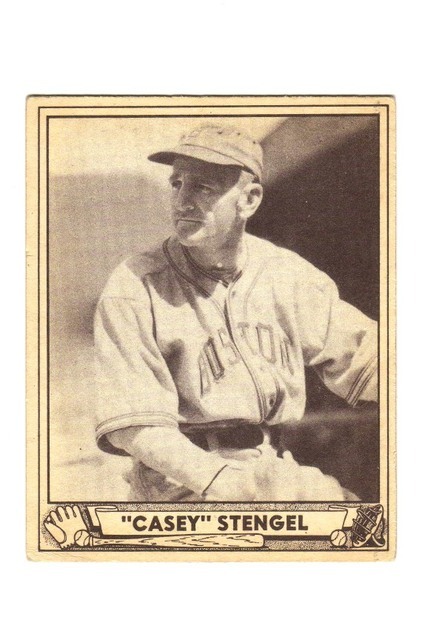 Casey Stengel was the 1st guy to hit a HR in two new ballparks. The 2nd instance was a dramatic HR in the World Series. And, what was special about these two HR's ? ? Last edited by tedzan; 10-11-2018 at 02:36 PM. I don't think he hit the first HR at Yankee Stadium. The first WS HR maybe. Inside the park too, just like the first one at Ebbets Field. Ebbets Field and first World Series HR at Yankee Stadium. Inside the park. I qualified that one instance was in World Series play. 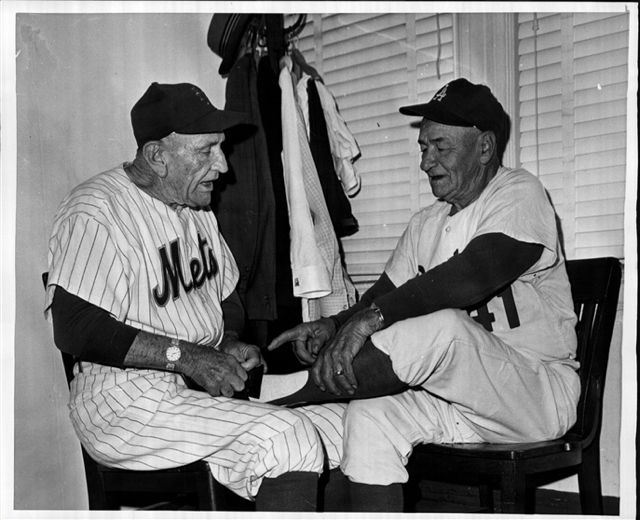 Obviously, it was not in regular season play since Casey Stengel played for the NY Giants. Anyhow, Peter and David are the Trivia Kings on this one. 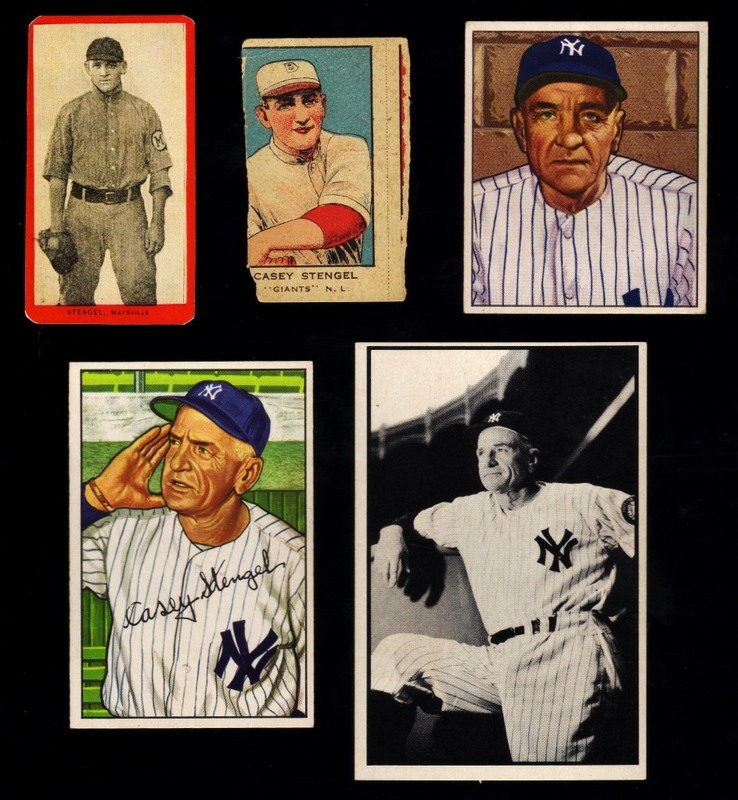 So guys.....lets continue this thread by posting BB cards or memorabilia of Casey Stengel. Last edited by tedzan; 10-09-2018 at 07:53 PM. Who hit the first HR in the new Yankee Stadium? When Candlestick Park opened in 1960, which Willie hit the first Giant homer in their new home park? It must be a trick question, so Willie Kirkland. 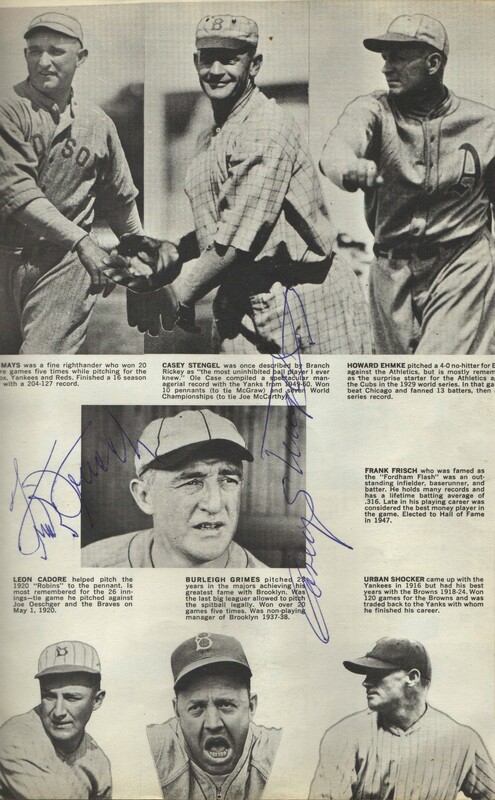 Here are a couple of more modern Caseys and a page from the program from the first game I attended in person..Yanks-White Sox in July of 1960. 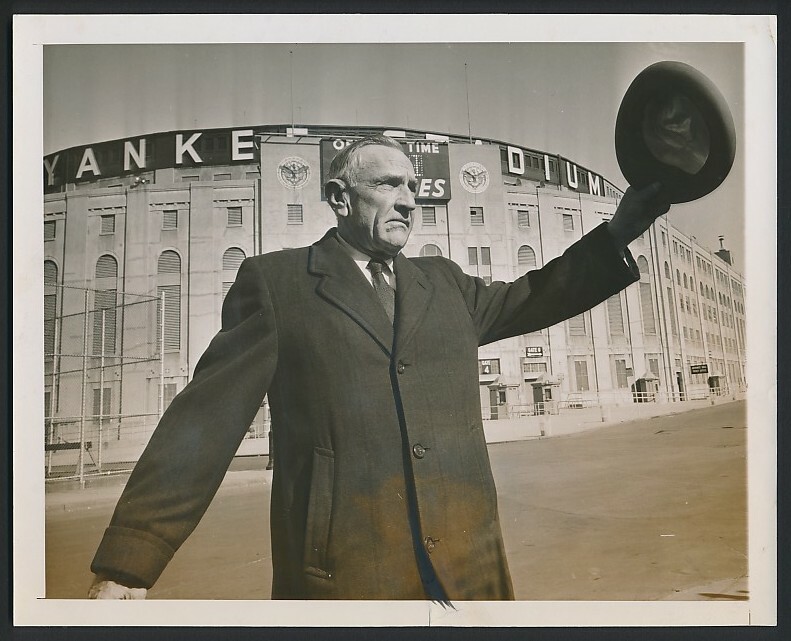 My best baseball memories are of watching Casey's Yanks at old Old Yankee Stadium, meaning the pre-Steinbrenner fustercluck, back in the 1950s. 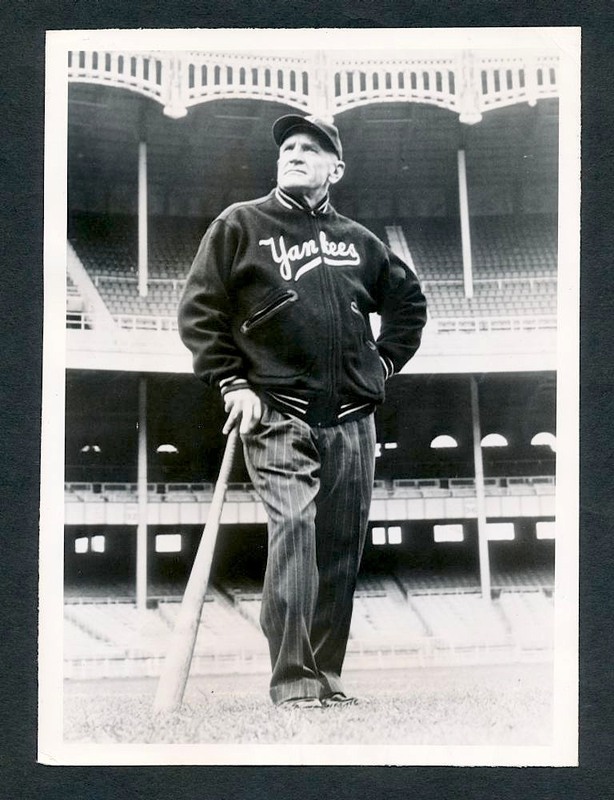 I was a kid and he looked like he was older than sin; I never imagined that he had been young once and a ballplayer too. 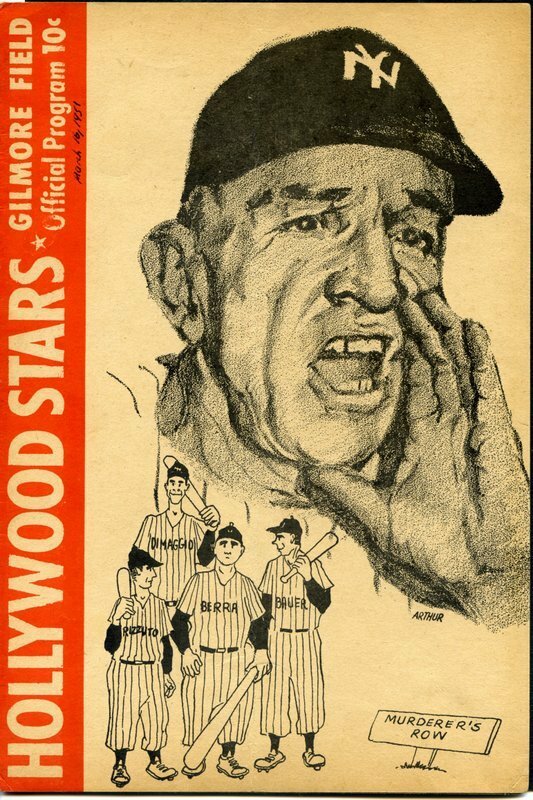 Supposedly Mickey Mantle was also surprised to learn he had played. "What do you think, I was born at 60? 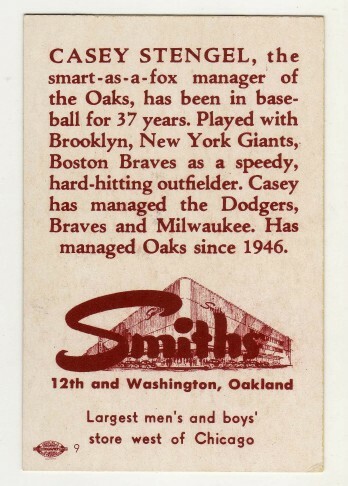 ", Casey told him. Wonder if Mick ever saw his T210. 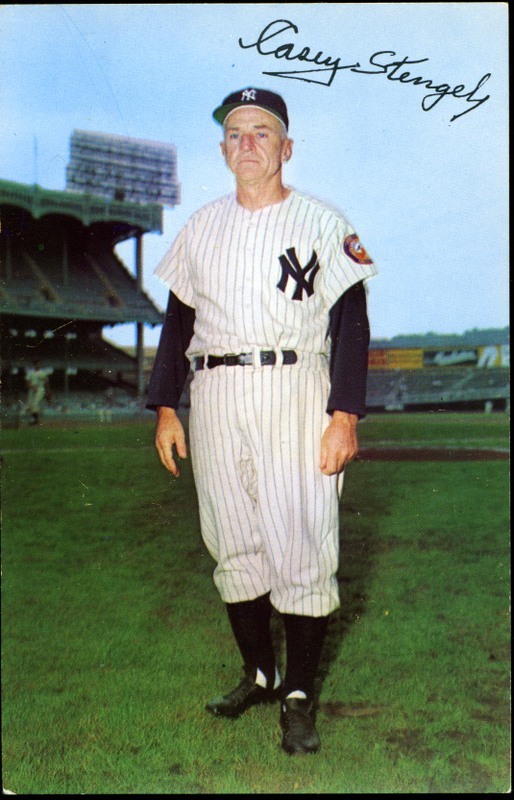 I can't compete with everyone here on trivia but here is my pic of Casey Stengel. He's center, second row from top. I just found this, having bought it on eBay about 5 years ago. Great stuff....thanks for sharing it with us. in their daily sessions of questioning him.....Casey was amazing. After days of Casey "taking them to school", the politicians called Mickey to the stand. And, Mickey simply said.... "I agree with everything Casey said" ! Last edited by tedzan; 10-19-2018 at 11:21 AM. Reason: Corrected typo. 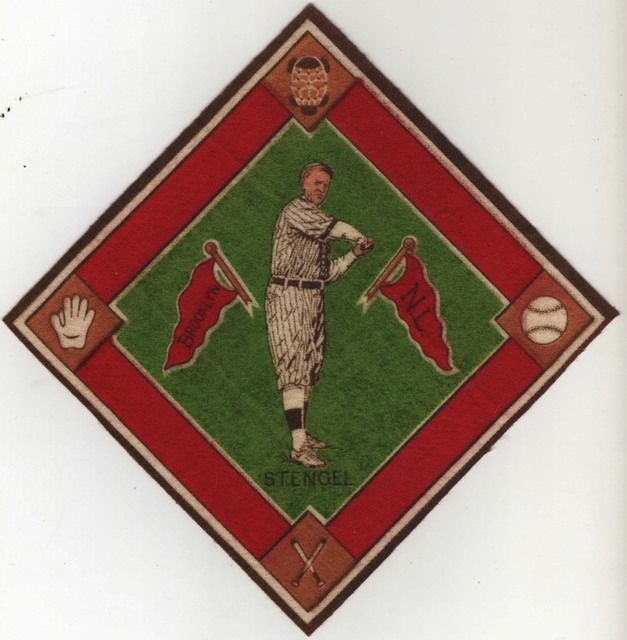 Really nice Boston Bees piece. I figure it represents the 1940 team. 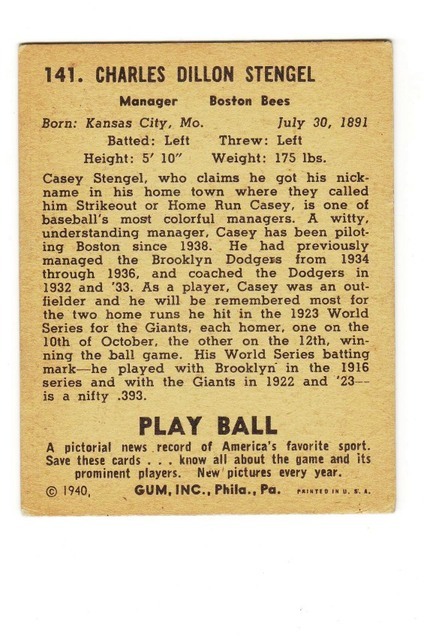 And, here's his 1940 Play Ball card. Last edited by tedzan; 10-21-2018 at 06:46 PM. Reason: Corrected typo. was a "genius" when it came to playing winning BB. So, how about sharing with us some more Casey stuff. One of my favorite pictures...with Zach Wheat. Circa 1963. Ted, thanks. I really don't know. I was hoping someone here could tell me. I'll do a little research this evening. I'm fairly certain it represents the 1940 team. 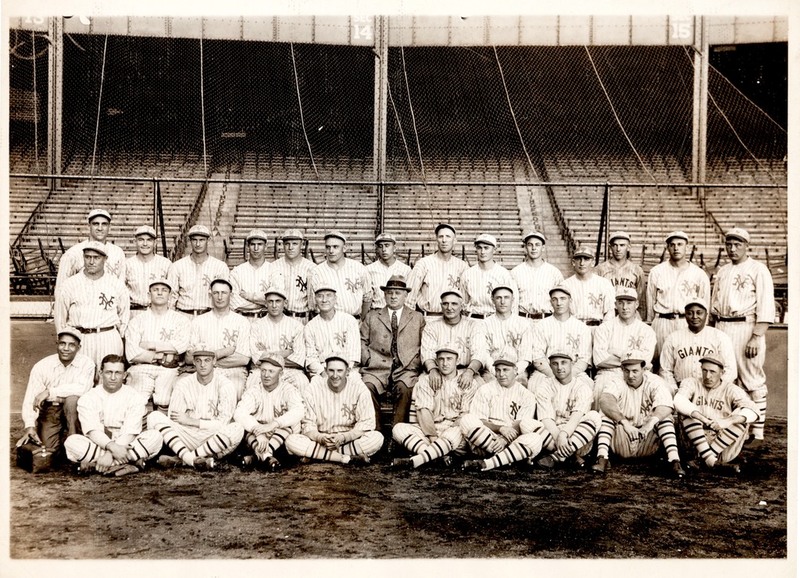 I cross-checked the players on it with the 1938 - 1943 team rosters of the Boston Bees and the best match was 1940. Thanks, I'll make a note of that! 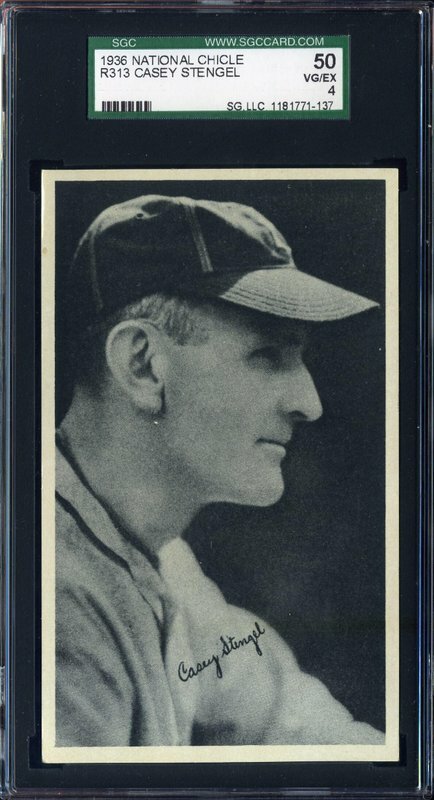 Didn't Casey once doff his cap to the crowd as he stepped into the batter's box and reveal a sparrow perched on this crown? And people ask me why I prefer prewar. I remember reading that as a kid!! A few with Casey and Wheat. Love your pic Matt. 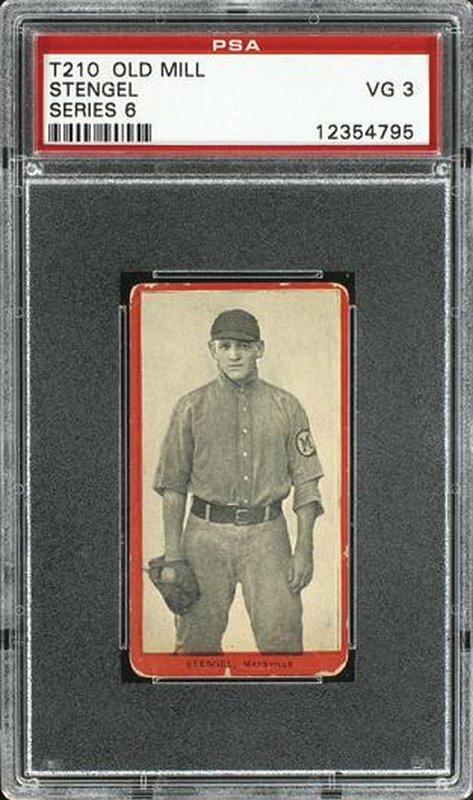 Not often seen1914 Casey Stengel collectible, this B18 flannel may be one of the earliest issues of Casey Stengel in a Major League uniform. 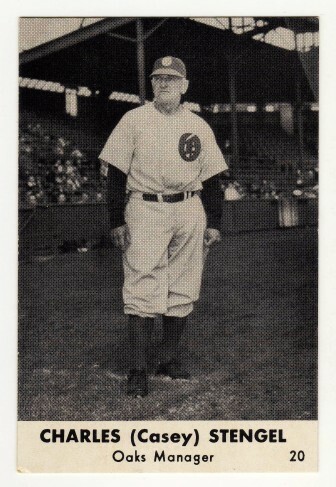 I don't think he is featured in the 1914 Cracker Jack set. 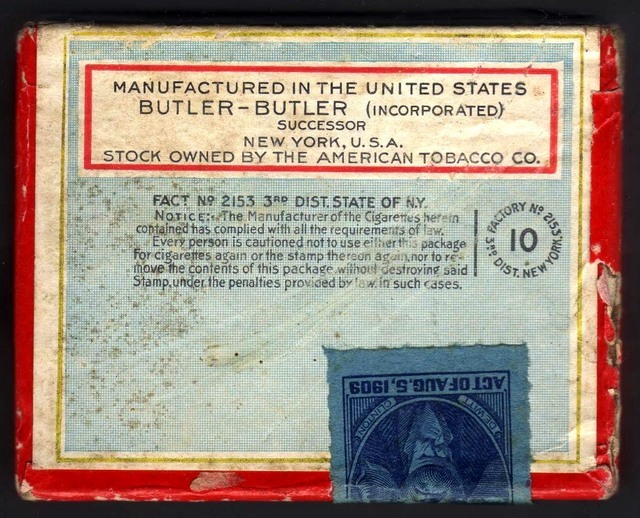 B18 flannels were issued wrapped around Cigarette packs. 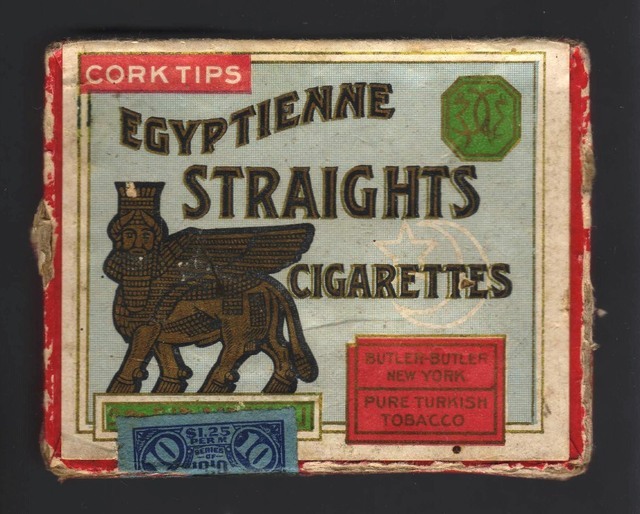 Shown here is the Egyptienne brand which the B18's were associated with.